It took me so long to type up this recipe it is made from leftover Christmas turkey! That can be our little secret though as the recipe is actually for a gluten and dairy free chicken pasta. I just have some recipes that always fall to the bottom of the pile when I’m selecting what I’ll share with you for the week ahead. 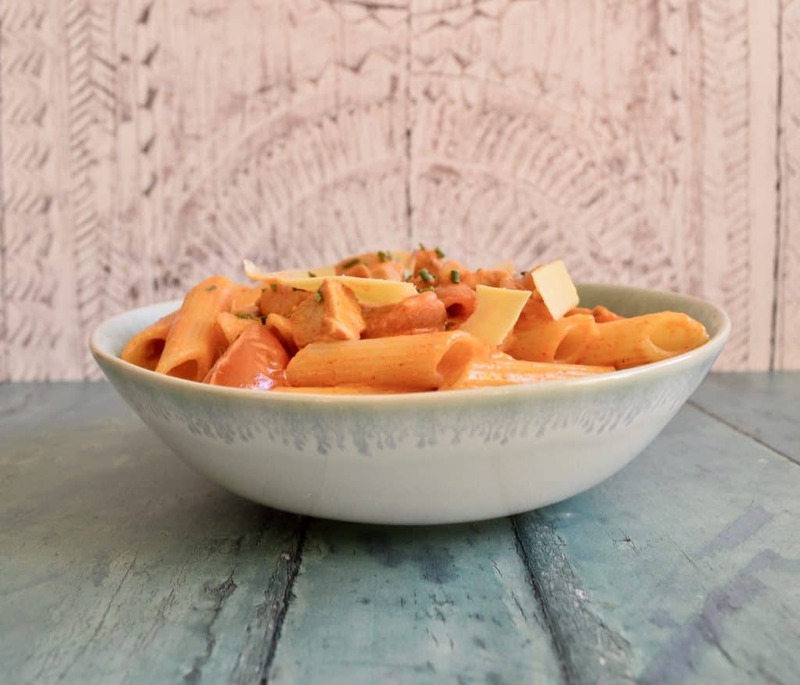 I do enjoy a creamy pasta sauce, its not something you can easily get dairy free when eating out. Gluten free pasta and tomato based sauces are readily available, which is great, but I still crave a dairy free creamy sauce. This dish has chicken, onions and tomato in a lovely dairy free cream sauce with smoky paprika and lemon. I made this using Alpro single cream and Tesco Free From penne pasta. Now the website functionality is improved I’m back concentrating on new recipes. I’ve got a few exciting recipes coming up soon including apple infused tea, Valentine chocolate cakes and Brazilian BBQ kebabs. I’m also starting to think about some fun gluten and dairy recipes for pancake day, Mother’s Day and Easter. I’m not sure why I associate every special day or holiday with baking something. "15 Quick and Easy Gluten & Dairy Free Week Night Meals"